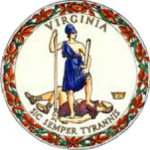 Governor Terry McAuliffe today announced that Evan Feinman has been appointed Executive Director of the newly named Virginia Tobacco Region Revitalization Commission. 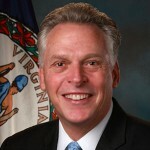 Governor Terry McAuliffe today announced the introduction of legislation to enhance the efficiency and the effectiveness of the Tobacco Indemnification and Community Revitalization Commission. Governor Terry McAuliffe announced today that The Corsi Group, a leading manufacturer of custom and semi-custom cabinetry, will invest approximately $5 million to establish its first Virginia manufacturing operation in Charlotte County. ﻿Gov. Terry McAuliffe announced this week that Kilgour Industries Ltd, a United Kingdom-based supplier of aircraft airframe and engine machined products will invest $27.3 million in its first U.S. operation in Henry County and create 155 new jobs.